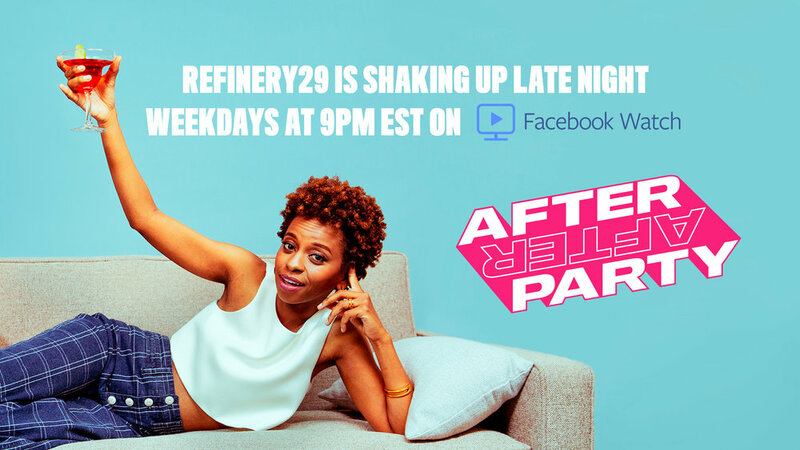 After After Party is a daily late night talk show produced by Refinery29 for Facebook Watch. Inspired by the heavy, bold types often found in infomercials and cable news graphics, the branding is low-fi chic with a twist. Type treatment and logo plays around with the different dimensions and perspective, a nod to the tipsy, disoriented state after the after party. The entire branding includes key art, logo endpage, lower thirds, transitions, news headline treatment, and title cards design. All provided in toolkit form that allows editors to efficiently create graphics. Outside of episodic graphics, branding is also being applied to out-of-home ads, Facebook interactive assets, and internal promos. Watch After After Party here.